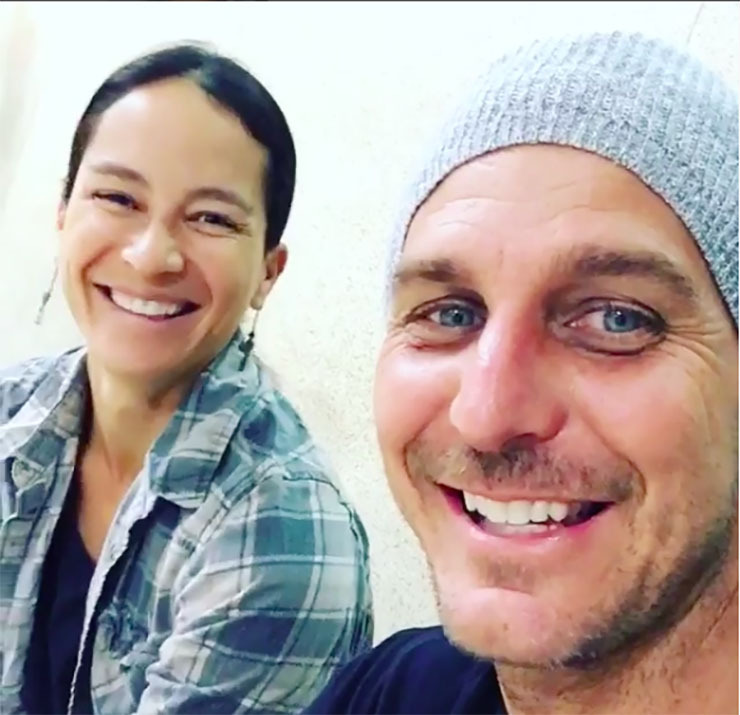 Ingo Rademacher (Jax) posted to social media something that could mean great things about his future at “General Hospital” (GH). Radmeacher shared a sweet video of his family on Instagram. The four are at an airport waiting to board a flight to Los Angeles. But they aren’t just dropping in for a visit. They’re moving! A long-term move back to LA could mean the Port Charles fan fave is set to reappear on the ABC sudser. Scroll down to see the full video. Jax was just in Port Charles just a few weeks ago, as life took a painful turn for his co-parent, Carly (Laura Wright), and daughter, Josslyn (Eden McCoy). They had just lost Morgan, and Jax came to town to support them. He had to make a rather hurried departure, though, as his mother fell ill back in Australia. Before he left, he and Carly shared a kiss. She was estranged from Sonny because of the stress of losing Morgan and what they thought was Sonny’s involvement in his death. Jax and Carly decided not to reenter a relationship, however. Meanwhile, Nelle’s (Chloe Lanier) plans to hurt Carly went into effect. She drugged Sonny and made him think the two had been intimate. As it often goes in daytime, just after this, Carly and Sonny began to make their way back to each other. If and when Carly becomes aware of their supposed tryst, she may need a shoulder to cry on. Jax could provide this, as he often does for Carly. And then, who knows what could happen!